Juvenile white sharks (Carcharodon carcharias) spend their early years in coastal waters where they may be targeted by local fisheries or landed by-catch. 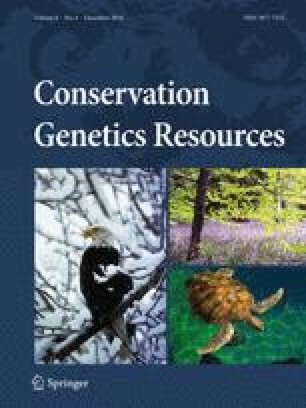 Conservation of genetic resources for marine species becomes a main issue for apex predators such as sharks. We developed a protocol to extract DNA from teeth of mummified juvenile white shark heads found in a local landfill at Bahía Vizcaino Baja California. A total of 48 Baja California samples where sequenced for 984 bp of the hypervariable control region of mitochondrial DNA and identified to belong to the Northeast Pacific white shark clade. Population analysis revealed significant divergence between Australian sharks but did not differ significantly from samples in California. The use of preserved material such as shark theet, jaws or vertebrae from collections in museums or research institutions may help to track the genetic changes trough time in relation with resource exploitation range expansion, or depletion. Píndaro Díaz would like to thank to Etna Sánchez and Erika Mojica for sample processing during DNA isolation. Funds for materials and sequencing were provided by the Monterey Bay Aquarium grant MBA00-04-167-5666, internal funds form CICESE and ICML-UNAM (611). Oscar Sosa wants to thenk Omar Santana, Jonathan Sandoval, Miguel A. Escobedo, Daniel Cartamil, Erick Oñate and Carmen Rodriguez, for obtention and preparation of teeth at the lab.